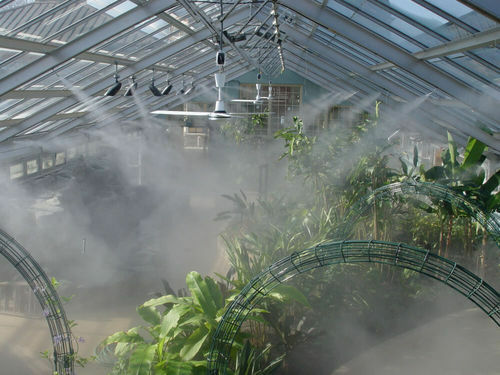 Greenhouse humidification fogging system is known to provide efficient fogging and humidification solution for greenhouses. Compact sized these systems are designed and developed following world class standard. These Equipments maintain the even and constant temperature and humidification. These have the maximum cooling potential which makes these extensively useful in hot and arid climates. Greenhouse rolling bench is featured with expanded metal tops, heavy gauge galvanized steel legs and rollformed components to maximize structural integrity. Our Greenhouse Rolling Bench is straightened with tapered roll bars and anti-tip brackets which allow smooth movement of cantilevered benches without redistributing weight. These are available in various range, sizes and technical specifications as per the precise requirements of clients. These are useful for various large growing operations. Besides all these, our products are properly quality checked on various parameters to ensure flawless performance. With the support from our meticulous workforce, we are introducing an extensive array of Evaporative Cooling Pad System. The offered product is manufactured using superior quality basic material and advanced technology with the set industry standards. Further, our offered pad undergoes stringent test to make sure that offered range is free from any kind of manufacturing defect. Apart from manufacturing the fans for various applications. 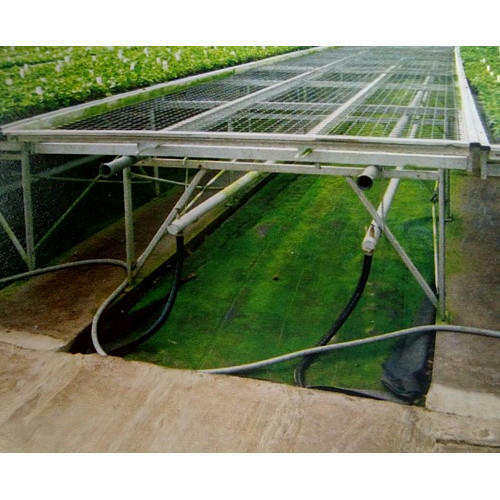 Enviro tech markets the cell deck cooling pad, made by various companies in India and abroad and is well established with respect to poultry, horticulture (green house) and industrial applications. The evaporative cooling pad (ecp) made of cell deck cooling pad paper is engineered from cross-sectional, specially treated flute media capable of absorbing and retaining water to provide the maximum cooling efficiencies. The cell deck cooling pad media is treated with stiffening and wetting agents to provide the cooling, without any water carryover. The pads are designed for tropical and subtropical countries, ensures greater performance during summer seasons. The pad media is treated with anti-rot and rigidifying resins. The media is cross- corrugated to maximize the mixing of air and weather. 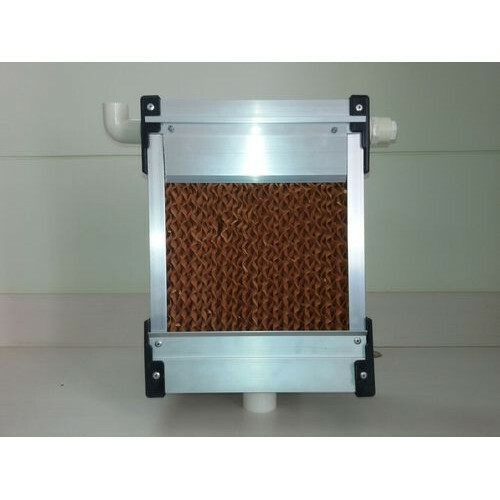 Saturation effectiveness ranging from 50 to 98% can be achieved depending upon air velocity and depth of the cooling pad. Air flows horizontally, while the re-circulating water flows vertically, through the pad. The water is collected at bottom of the pad and is re-circulated again by a pump through the unique gutter system made of g. I. Sheet.